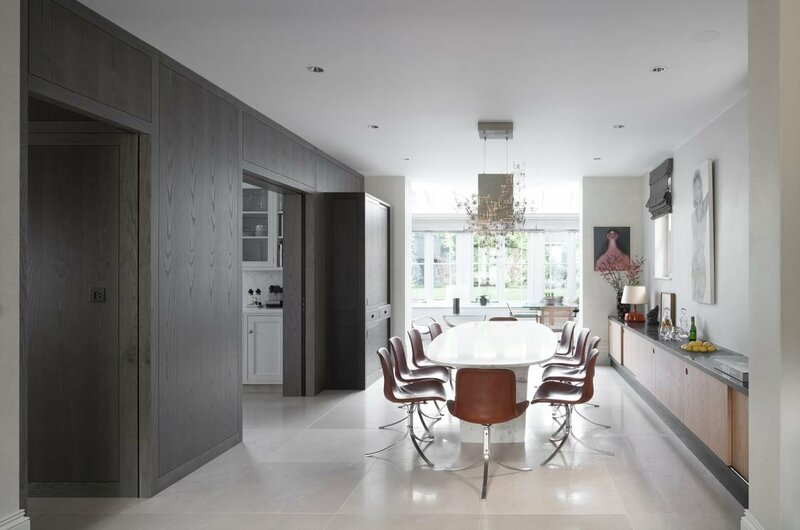 Artichoke designs and makes beautiful bespoke kitchens, interior architectural joinery and fitted furniture for homes across London, the UK and Internationally. 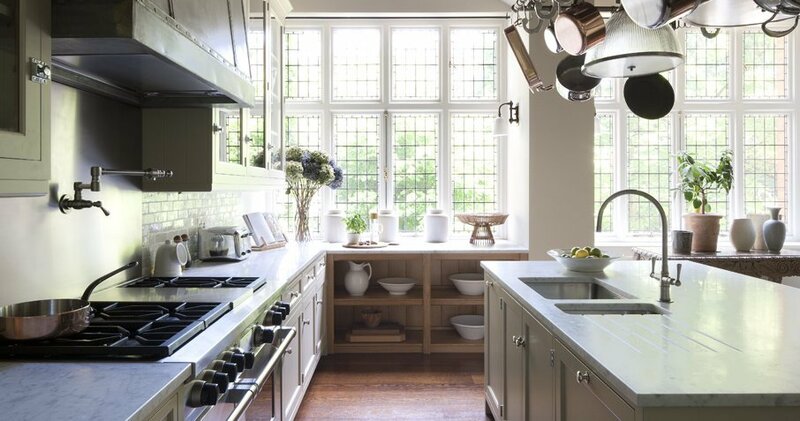 We have a particular interest for period architecture and have been fortunate enough to have designed kitchens of all styles for some of the finest homes in the Chelsea, Hampstead, Kinightsbridge and Kensington areas. What sets Artichoke apart is our design ability and attention to detail. Because we are entirely bespoke, we can design kitchens and furniture that blends seamlessly with your architecture and interior design scheme, resulting in a highly elegant response to the brief. We are a long way from choosing from the pre-designed “off the peg” ranges found in London’s kitchen showrooms both in terms of quality of design and cabinet making. Our creative, flexible and highly skilled team are experienced in working with discerning private clients in houses of all architectural types across London. At the core of our work is a desire to resolve how interior architecture and kitchen spaces are organised by furniture. This is the key to providing functional solutions to London clients. Our design team has worked together now for over ten years. We’ve designed into numerous London homes from new-build Hampstead houses to classical apartments in Mayfair. Our design of kitchen furniture is continuously evolving through historical research. With each London project we believe we have a duty to ensure that the design and build of the furniture is beautiful and will outlast the people for whom it is created. Operating with such a close-knit design team ensures that we remain very connected to each London project, following it through from the initial design process, to sourcing of the finest materials, cabinet making and installation of the finished kitchen. We also draw from our vast database of period mouldings and architectural joinery in order to create authentic period bespoke rooms for private houses throughout London. Artichoke was asked to design a decorative architectural interiors solution for the bespoke kitchen and staircase in this London villa. A veneered wall containing a pair of pocket sliding doors was designed in stained ash with black walnut let in to form the shadow gaps between panels. The dresser cabinet, containing crockery and glassware, is made from oak and stained to a Basalt colour to contrast with the wall panels behind. The door stiles are designed to follow the shape of the recessed handles. The long side-board is divided by an oak top with a bowl hand-carved into it. The front edge of the honed marble is mitred with a vertical front of oak that supports it. The project was particularly challenging for the Artichoke team in that it involved designing contemporary interiors into traditional London architecture. To create modern interiors and kitchen designs for period London homes requires a particular understanding of how old buildings work to ensure that modern requirements, such as extraction and heavy appliances, can work within the structure of a period house. A particular fascination for the Artichoke team is period architecture and how design styles alter between London boroughs. Classical architecture was introduced into Mayfair in the mid 1600’s by Inigo Jones; it was a style that quickly spread out to other London boroughs such as Regent’s Park, Kensington, Chelsea, Belgravia and Hampstead. Period architecture is partly what makes London such an exciting space to live in, with each borough boasting its own architectural merits, from the stucco fronted buildings in Regent’s Park to the London brick cottages of Chelsea. Having an understanding of London architecture, and importantly building structure, is a vital skill in being able to deliver complex kitchen and architectural joinery designs. Bespoke kitchens were originally not required in many of London’s grander houses. Instead, provision for a staff kitchen was included, usually in the basement of the house. These days, clients prefer their kitchens to be at the heart of the house, and we are often tasked with taking a kitchen into a room that was originally designed for a totally different purpose, such as a ballroom or a drawing room. Artichoke is established as a centre of excellence for design and cabinet making, using our workshop in Somerset to create wholly bespoke kitchen designs for our London clients. If you are interested in commissioning our team for a London project, please contact us. Many clients will visit our design studios in Somerset where you can meet the creative team and gain a better idea of how we design and make each project. You can get in touch with Andrew or Ben our managing director and founder by calling +44 (0)1934 745 270. If you would like to request one of our brochures, simply fill out the form found at the bottom of this page. We look forward to hearing from you.